Books recommended by our team! 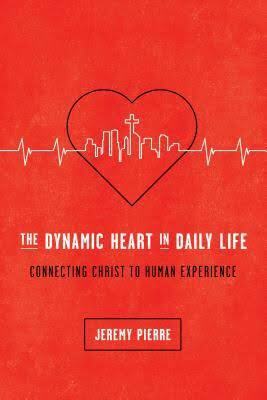 Jason Blackley recommends this review of “The Dynamic Heart in Daily Life” by Jeremy Pierre. Originally posted on biblicalcounselingcoalition.org and written by Nate Brooks. One of the books I’ve discovered is God’s Attributes: Rest for Life’s Struggles by Brad Hambrick. It’s taken me a while to figure out how to use it—for myself and counselees—but it’s one I recommend having on hand and working through yourself. Although it’s only 37 pages, it can be daunting. If you don’t believe me check it out for yourself and come back to leave comments. I’d love to hear how you’re using it. These are some features of the book I’ve used for both personal growth and counseling. The third page provides one of the most helpful counseling tools I’ve found for really getting to know someone. Although I’ve assigned it as homework, it’s been more powerful to use in a counseling session with an advocate. The three-part list (past life experience, my evaluation of the situation, my view of God as a result of the experience) has helped me get to know counselees on a level even they haven’t considered. It also opens a window to their soul and reveals how they see and understand who God is. Another helpful exercise Brad Hambrick introduces is a chart to identifying current struggles with sin and current sources of suffering. Along with the chart, he gives instruction for how to work through each lists and what to consider in comparing them to the Word of God. The majority of the booklet is a list of God’s attributes with Scripture over 28 days. It requires a notebook for meditating on and answering questions that diagnose and evaluate one’s heart in light of God’s character. The beauty of this booklet is the revelation of God. And because His ways are unsearchable, this book can be used over and over, time and time again. Most people come to receive biblical counsel, not because of sin, but because of suffering. David Powlison has written many books and booklets, but one I have found helpful is “Recovering From Child Abuse: Healing and Hope for Victims.” Tragically, many people who enter our lives have suffered sexual and/or physical abuse. Although they seldom come to counseling for that reason—and don’t see it as part of their current suffering—at some point it enters the conversation. One way biblical counseling differs from secular counseling is that we don’t blame current choices on past experience or relationships; we acknowledge personal responsibility. On the other hand, we don’t ignore past experiences because we understand that as unique individuals with our “own way,” we often respond to today’s difficulty the same way we did in the past. For that reason, past abuse and hurts reveal heart attitudes and thought processes that may affect today’s struggles. We can use the past to get a better understanding of a counselee’s struggles and response pattern. Then we can use multiple situations to apply the hope and healing of the gospel. It is important for all of us to see suffering as an avenue for spiritual growth as we learn to trust and please the Lord. When I visit with counselees about painful events I am quick to say, “We are not going to discredit or minimize what happened to you. It was evil/wrong/wicked and God will punish the evildoer (2 Samuel. 3:39). What is important is to put it in the right context—and God gives us that context in His Word.” We work through the exercises given by David Powlison on pages 11-15 to realign suffering with God’s character and a response of faith. If the counselee suffered child abuse of some form, I send the booklet with them and use it to discuss not just the event(s) but their responses (then and now) with the Bible as our framework. The exercises have also proven helpful for PTSD and immediate trauma as well. God is bigger than our pain. He is sovereign over our struggles. Because He suffered loss beyond what we can imagine, He alone provides true comfort and peace. When we find forgiveness through faith in Jesus’ death and resurrection we also discover healing and the God-honoring ability to forgive those who have sinned against us. “When she was a toddler, Jeff Anderson’s daughter opened his eyes to how delighted God is with our gifts. She brought him a plastic donut from her play kitchen, and he was surprised by the intensity of his reaction. His delight in receiving this simple gift—and his daughter’s joy in giving it—led him to dig deeper. Anderson would not rest until he found the scriptural connection between our gifts and God’s heart. 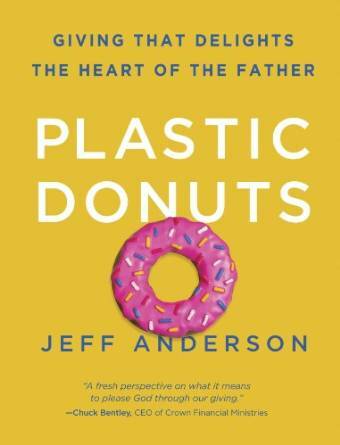 Plastic Donuts removes the awkwardness and uncertainty that often accompany discussions about giving. Now you can think differently-and biblically- about what and how you give. You won’t want to glaze over this book of sweet insights into the heart of financial stewardship! 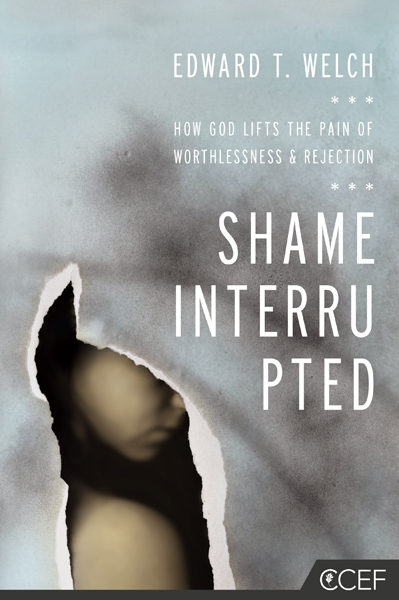 I’d encourage you to read the full review here, and take a peek at Shame Interrupted the next time you walk by the Resource Center! Because sexual assault causes physical, psychological, emotional, and spiritual pain, victims need clear help, hope, and healing. 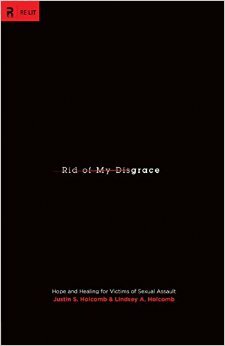 In Rid of My Disgrace, a couple experienced in counseling victims of sexual assault explains how the grace of God can heal the broken and restore the disgraced. In a culture and community where sexual assault and violence are far too common, we must be equipped to provide gospel truth, gospel hope, and gospel healing to those affected. This resource is just one way to do that. I encourage you to read The Gospel Coalition’s full interview with the authors here, and take a look at Rid of My Disgrace the next time you walk by the Resource Center.